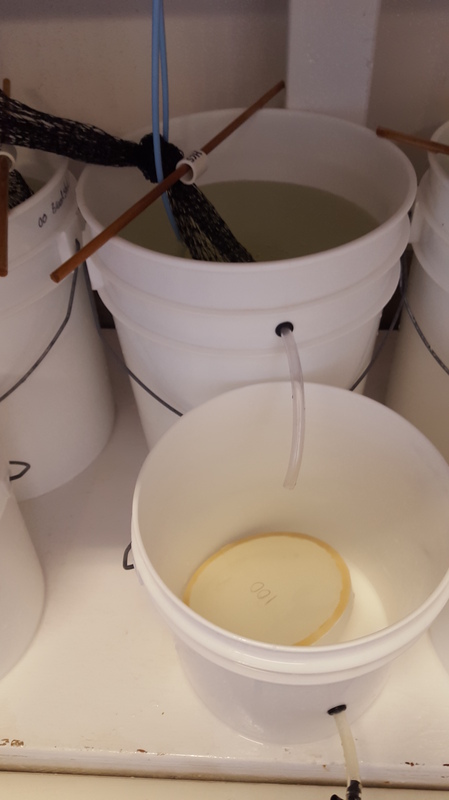 Keeping oysters alive in a hatchery requires almost daily care. 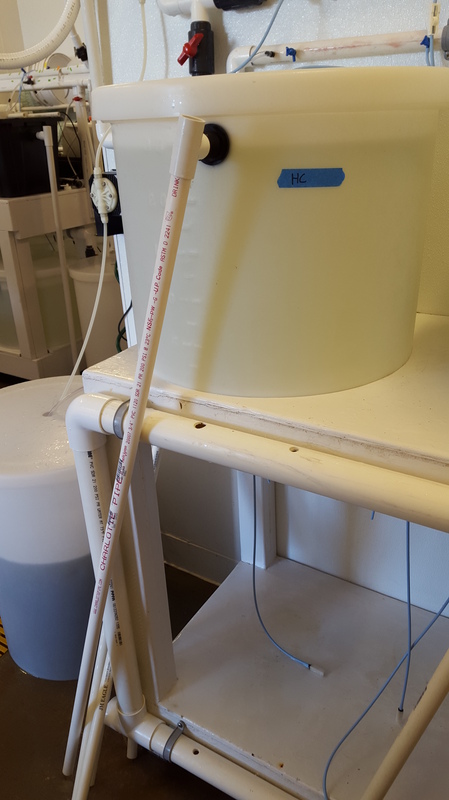 Monday, Wednesday, and Friday I flush fresh water and bleach through the line that brings them seawater. 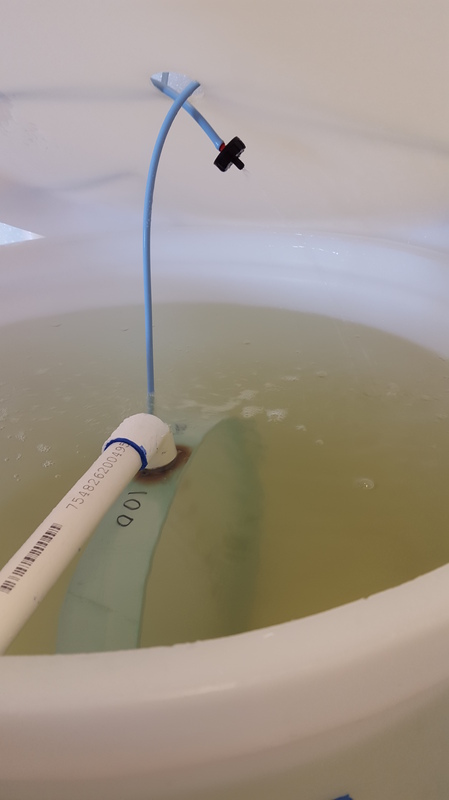 On these days I also give them a little rinse with fresh water, check for any “gapers” (dead oysters), clean all the poop out of their buckets, clean all of the tubing, and clean the larval catch buckets. 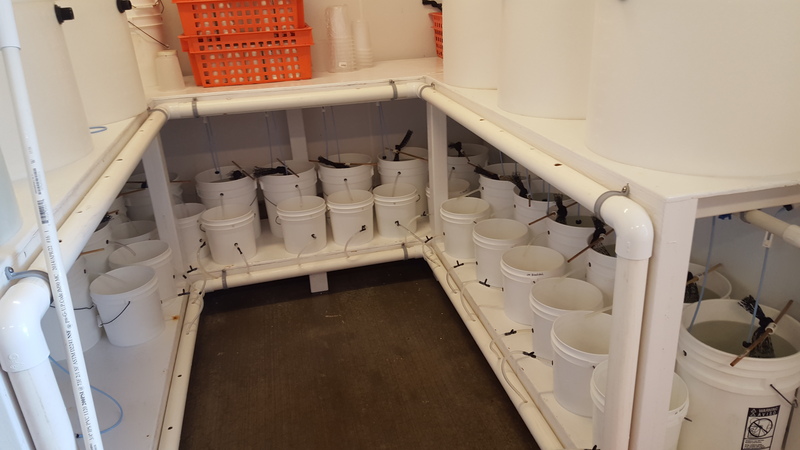 Every day I’m at the hatchery, I make sure they have enough algae, clean and replace the banjo filters in the larval buckets, empty out any places in the line where water might stagnate, and clean the water drippers. Much of this is to prevent unwanted algal and bacterial growth, as well as minimize the spread of disease. Once I have larvae, this workload will increase. 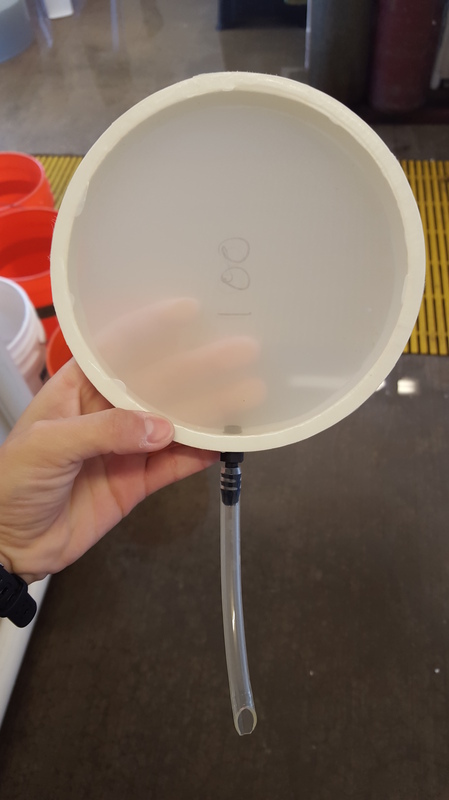 I’ll be filtering out larvae every day and putting them in 100 L tanks. I’ll have 2 tanks per population group, so 6 total. 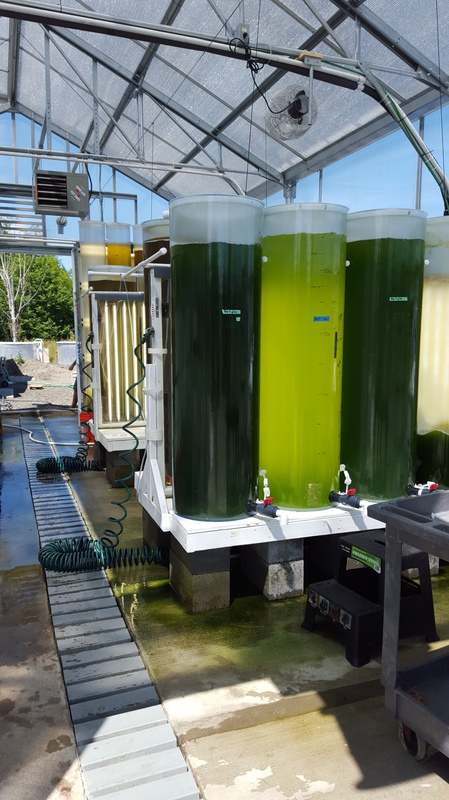 These tanks will also require cleaning 3 times a week, and with millions more oysters to take care of, I’ll need to harvest more algae. 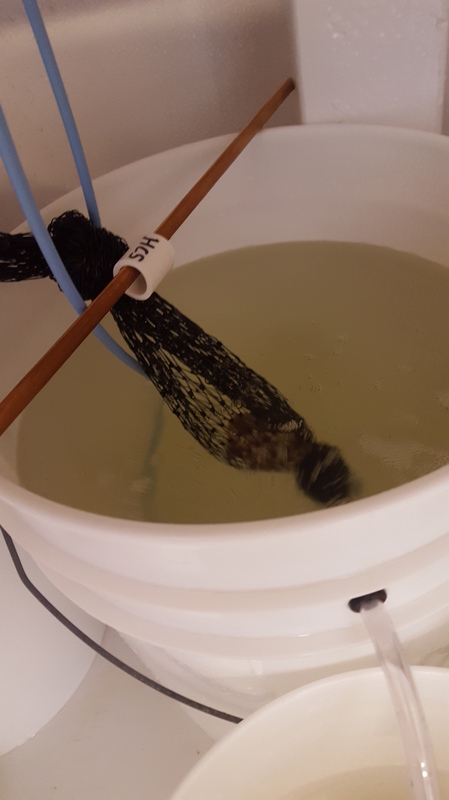 I’m still a bit slow at the cleaning process, but soon I should get it down to ~4 hours of general animal husbandry on M-W-F which will leave me plenty of time for data collection and molecular lab work. This entry was posted in Blog by ksil91. Bookmark the permalink.